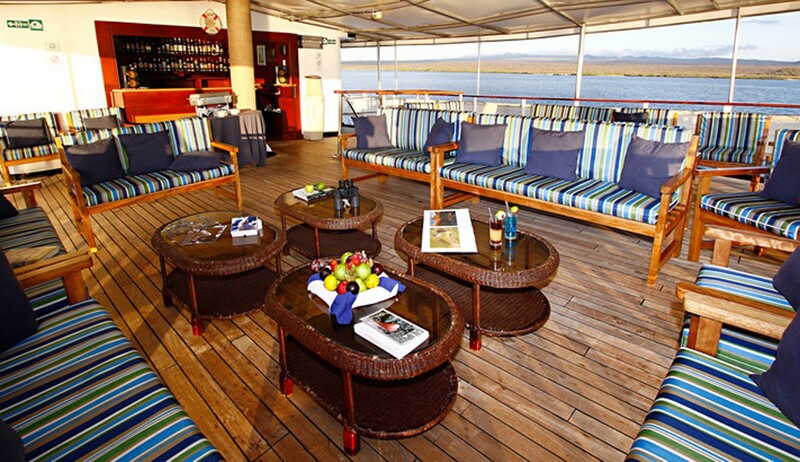 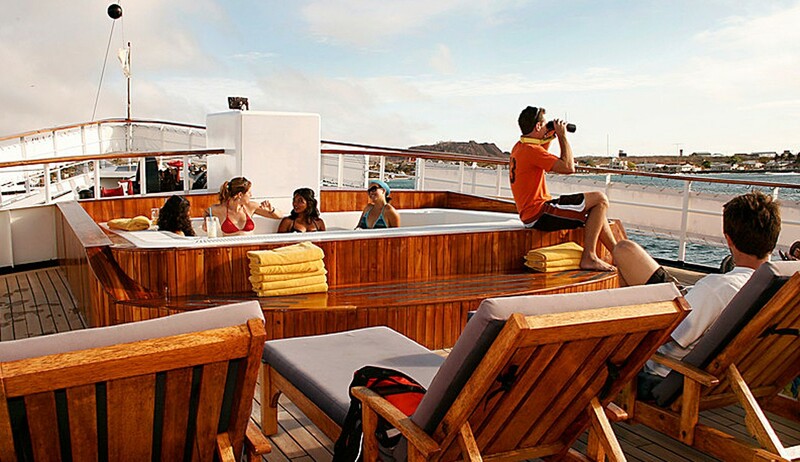 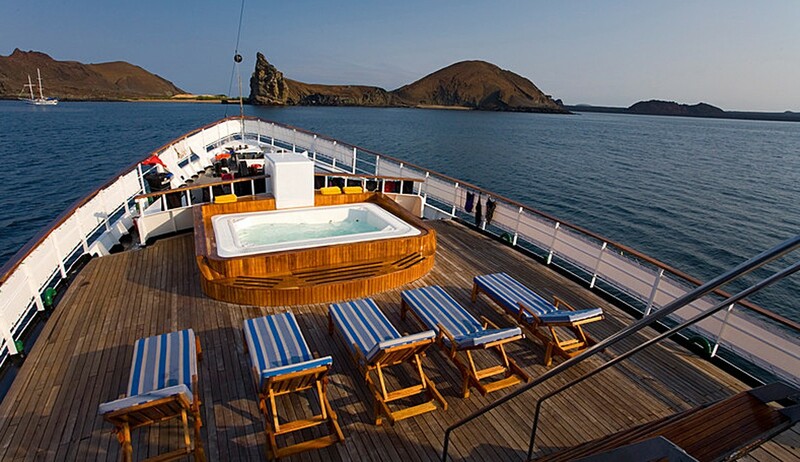 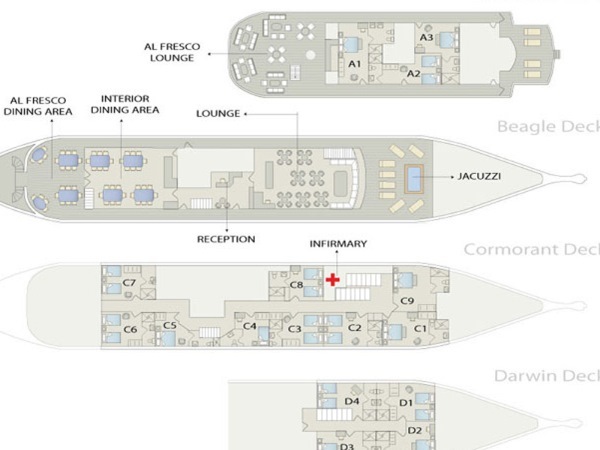 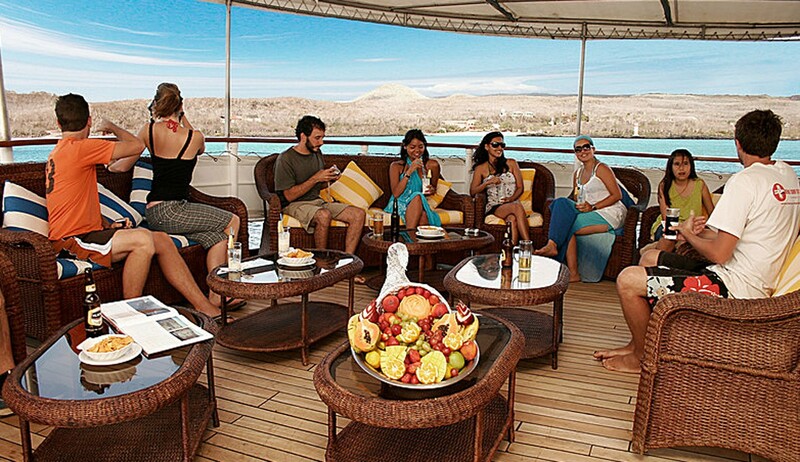 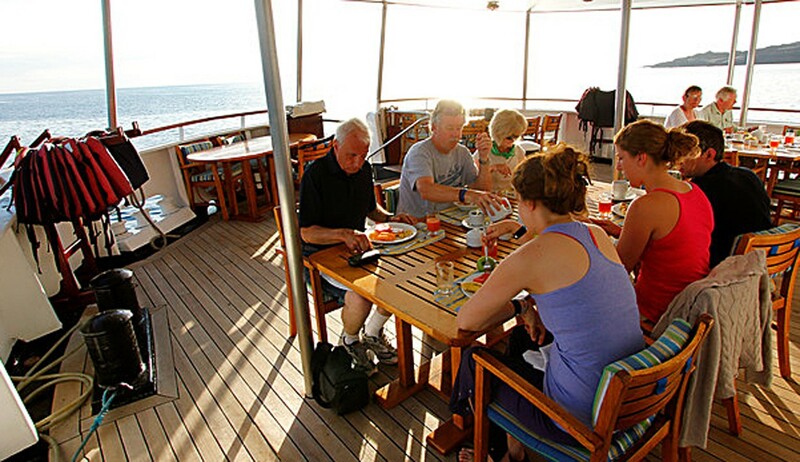 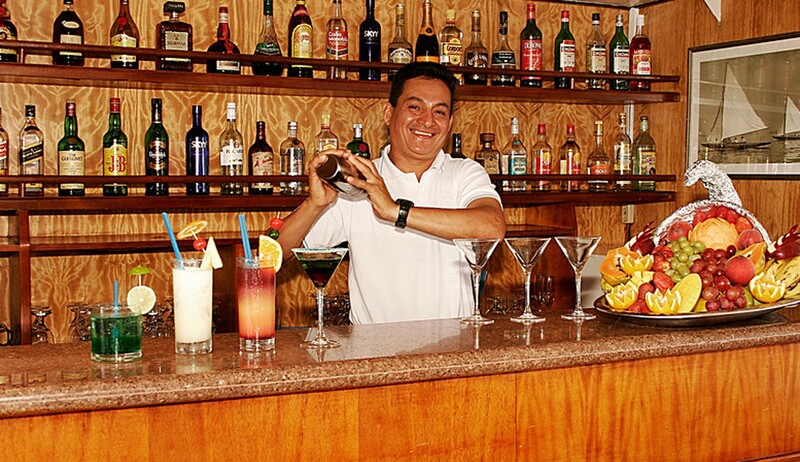 A larger luxury vessel with 16 suites and cabins and lots of outdoor space with open and covered areas and jacuzzi. 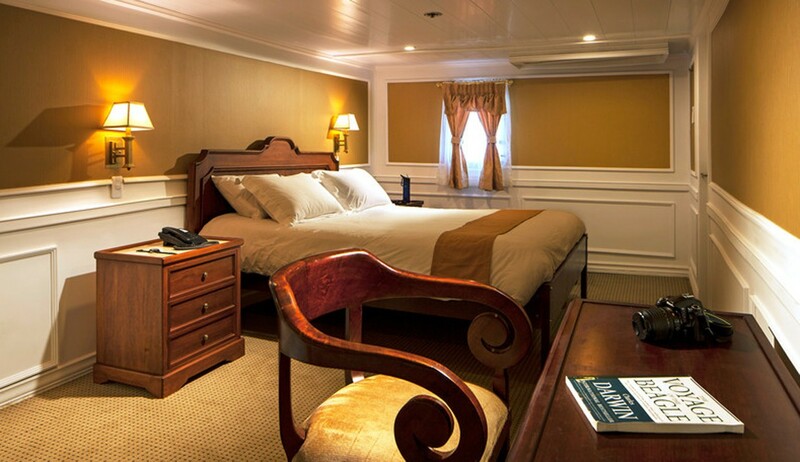 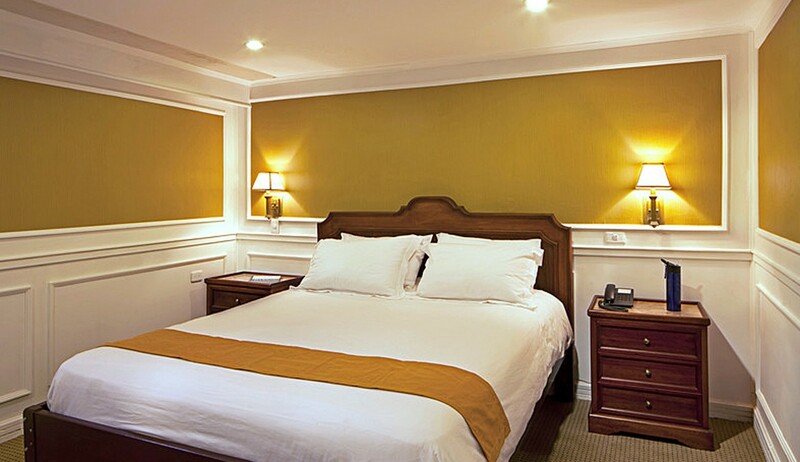 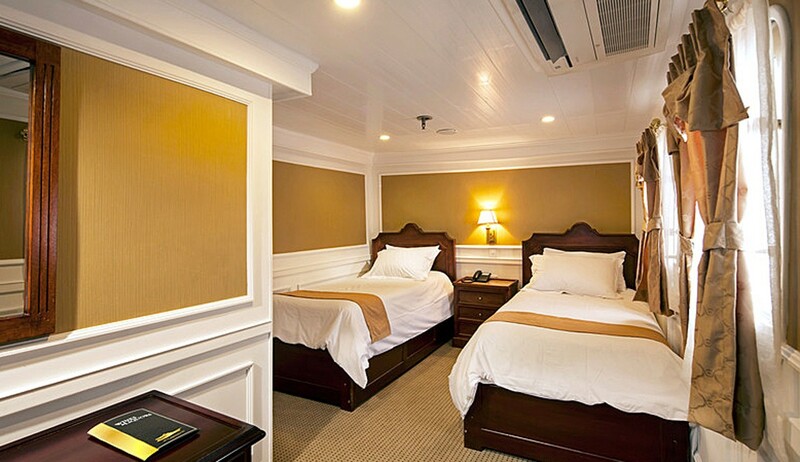 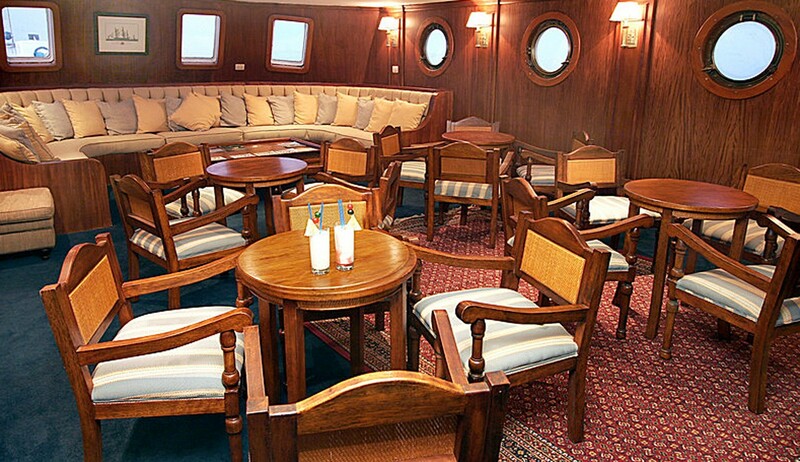 Master suite with lounge area and large windows, 2 queen or twin suites with windows, 13 double or twin cabins with portholes. 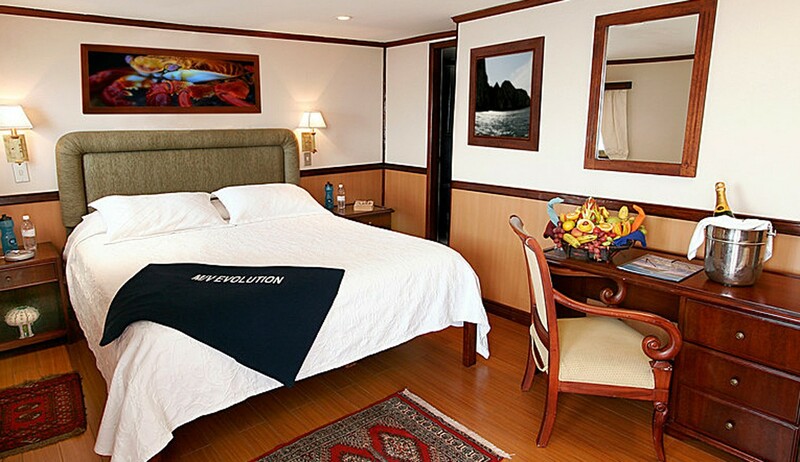 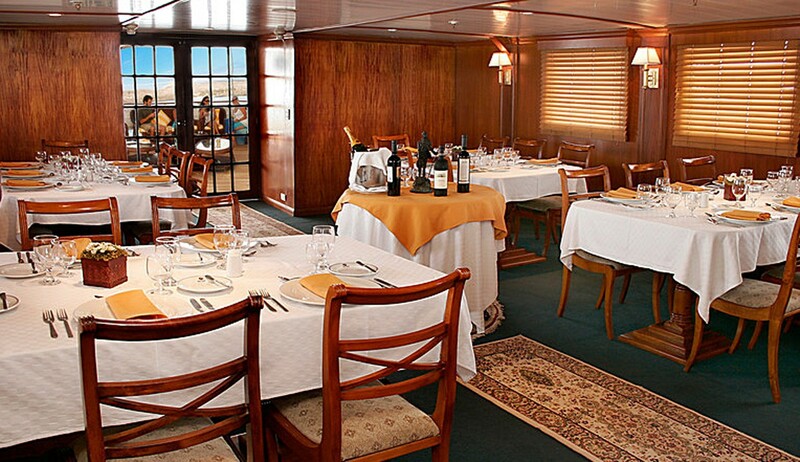 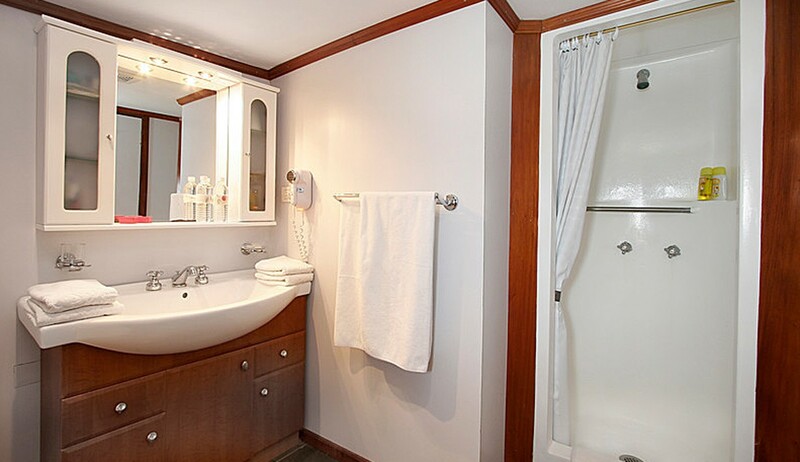 All cabins have bathrooms, air-conditioning, TV & DVD. 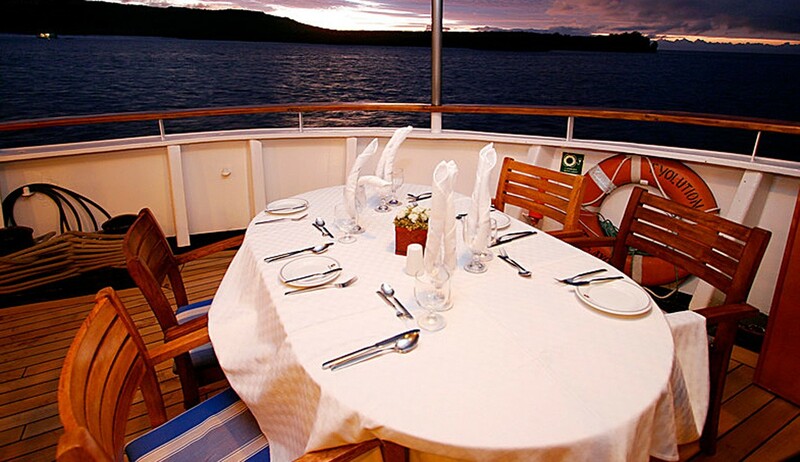 Snorkelling equipment and kayking included.